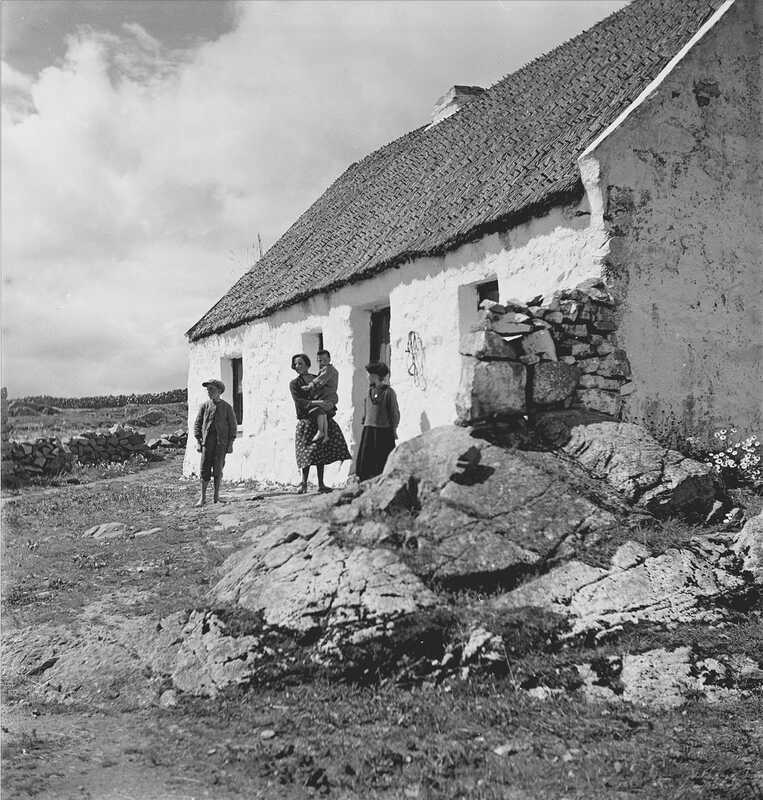 A family standing outside the cottage door at An Cheathrú Rua (Carraroe), Connemara, Co. Galway, Ireland 1939. As always if anyone can help recognise and name the family please do and I'll happily add it to the photo. Photo is copyright. — at An Cheathrú Rua.